Anyone else feel like this week has just been CRAZY!?!? 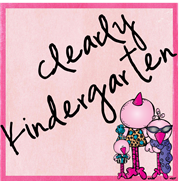 Between meetings and the kiddos I am ready for Spring Break, but it is still a week away!!! My kiddos have been having ISSUES with getting along lately, so I thought it was time to break out the Bucket Filling books! I'm sure most of you probably already know about them, but I just heard about them from one of my FABULOUS team members this year. I just love the visual idea of everyone having a bucket that holds your good feelings! I also like that it empowers the kids to be in charge of filling their buckets by doing things that will fill others buckets, kindness breeds kindness! 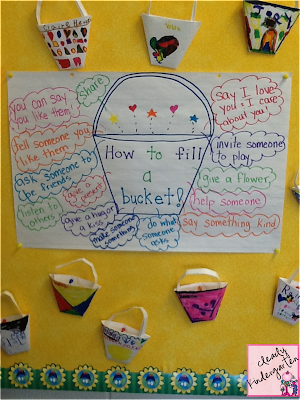 On Monday we read the book Have You Filled a Bucket Today? by Carol McCloud. Then we made an anchor chart of ways we could fill a bucket. 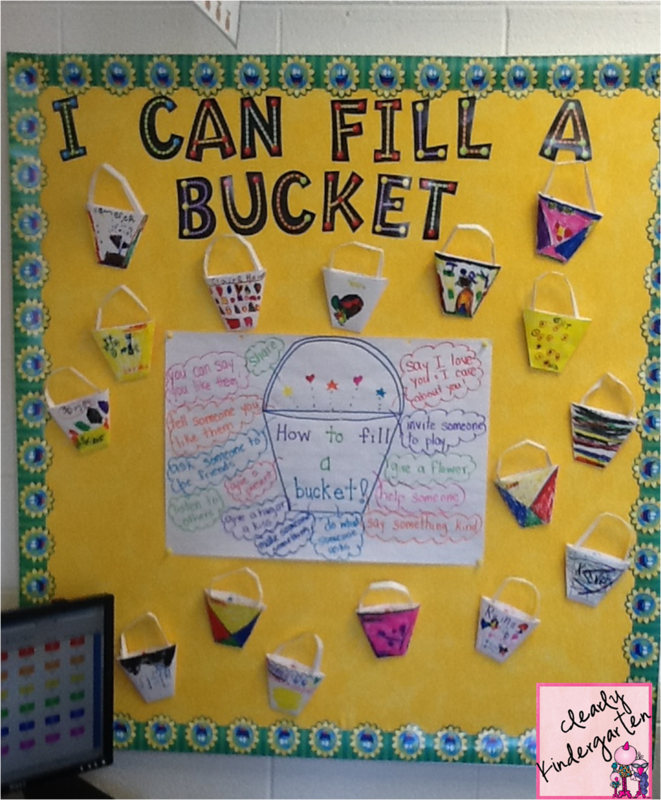 When we finished our chart ,I gave each kiddo their own bucket to design for our new board! Click HERE for the link to the directions for the buckets. This site also has a lot of other great FREE resources to go along with the bucket filling books! My kiddos have really latched onto this idea! Today I overheard a conversation where one of my kiddos said "Don't say that you're dipping my bucket!" and my desk has also been overflowing with pictures and notes as they fill my bucket!! I just love my kiddos! I should have taken a picture of my pile. Of course there are still those who are dipping instead of filling buckets ,but I am hoping that the visual and the reminders from their peers will help them. 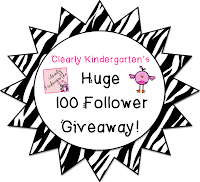 And speaking of buckets, mine is overflowing because all of you who read my ramblings and follow me and because of all of the wonderful bloggers and TpTer's who donated to my 100 Follower giveaway! If you haven't entered yet it isn't too late! Click the button below to see all of the great prizes and enter to win!! Loved reading about your bucket fillers! No I hadn't seen it, my kiddos will love it!! Thanks for sharing! Thanks so much for sharing this neat idea! I LOVE this! I need to do this with my kiddos! They would love it and they need it! We are all ready for Spring Break...one more week! Love the buckets. We did this at the beginning of the year in my K class. They did good for awhile with it...I need to go back and revisit! :) Thanks for the reminder!